Update — 7/10/18 2:10 p.m. EDT: It was confirmed to Deadline on Monday that actress Josephine Langford has, in fact, been cast as Tessa in the upcoming “After” movie. 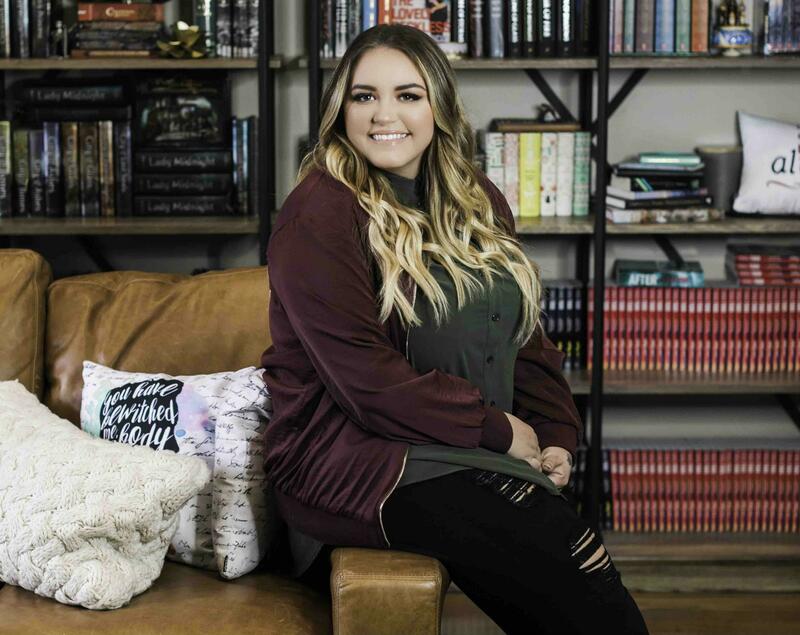 The adaptation of Anna Todd’s novel of the same name begins filming in Atlanta this month and is expected to hit theaters next year. Original Story: After years of waiting, fans of Anna Todd’s “After” book series learned in May who had been cast for the roles of Tessa and Hardin in the upcoming movie adaptation. Unfortunately, with just a little over a week to go until filming begins, only one of those actors, Hero Fiennes Tiffin (Hardin Scott), is still part of the production. Julia Goldani Telles, who was set to portray innocent Tessa Young in the romance flick, revealed in an Instagram post late Thursday night that she’s had to drop out of the film due to “scheduling issues.” Her caption was short, simply “#aftermovie,” but the photo itself was of a handwritten note explaining the situation. Early on Friday, Todd uploaded an Instagram photo of a house in Atlanta and asked fans to guess whose home it is, before revealing that it’s going to be used as Tessa’s childhood home. While Todd didn’t reveal who the new Tessa is, producer Jennifer Gibgot did share that “the new Tessa is already in Atlanta in rehearsals with Hero,” according to an Instagram comment she posted, which was also shared on the “After” movie’s Instagram Story on Friday. This means that the new actress has already been found and also confirms that Tiffin is still set to play Hardin. So, who is this mystery actress? Just like before the original cast was announced, fans are already back to campaigning for their favorite stars to take on the role. That said, one name is starting to seem more likely than others--Josephine Langford. Not only is Josephine about 20 years old, which is the right age for the role, but, more importantly, the major players of “After” all follow her on Instagram. The actress hasn’t posted on the social platform since June 20, though she was recently followed by director Jenny Gage, producer Gibgot and, just yesterday, by Todd. International Business Times has reached out to Todd and Josephine for comment. While no official word on Telles’ replacement has been made, rehearsals are already underway. Todd’s set to arrive in Atlanta on Sunday, and filming will begin on July 16. With Gibgot recently writing on Instagram that casting announcements for the movie will be shared prior to the start of filming, that means, no matter what, fans only have less than two weeks until they know the full cast of the “After” movie. “After” starts shooting in Atlanta on July 16 and is expected to be released February 2019.